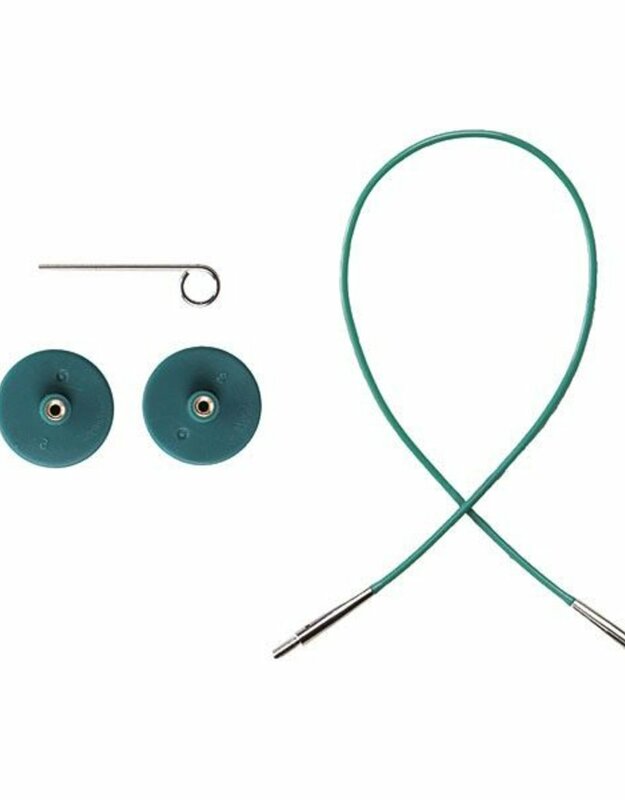 Specifically used with the Caspian Interchangeable Circular Short Tips, the smooth cable join lets your stitches slide around your knitting needles with no snags while the long threaded join ensures that your cables and knitting needle tips stay securely in place. Additionally, the flexible emerald cable has very little memory so you can start knitting immediately. Simply unscrew the needle tips and screw on the cable caps to keep your knitting safe when your needle tips are required elsewhere. Lace knitters will love that they can tie a piece of scrap yarn through the tiny hole in the cable end (used for the tightening key) and thread a lifeline through their lacework at regular intervals while they are knitting. Interchangeable short needle tips are available in sizes US 4 (3.50mm) through US 10 (6.00mm). The Options Interchangeable Short Needle Set includes sizes US 4 (3.50mm) through US 10 (6.00mm) plus two each of the 16" cables in a handy flexible organizer. Or, view the entire Caspian Interchangeable Circular Short Tips needle family. 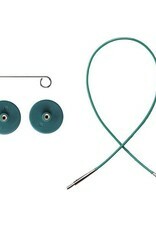 Learn more about Knit Picks Options Needles. Includes one 16" cable, 2 end caps and one cable key. Note: While all of the Knit Picks Option Interchangeable Needles will fit on these cables, we strongly recommend not using the longer tips on these cables - the circumference will not measure 16" and your needles can bend or break.